Do you want to impress your guests with a carpet that is well-taken care of and nicely clean? Or do you want to ensure a healthy playing ground for your children? If you find the cleaning of your carpets a task which you don’t want to do or you don’t have the time to engage in, simply hire our company for the best carpet cleaning service in SW5 Earls Court. We will have you impressed and then you will impress your visitors with the fresh look of your clean carpets and we will help you create a safe environment for your little heirs! We offer professional and high-caliber carpet care at reasonable prices! 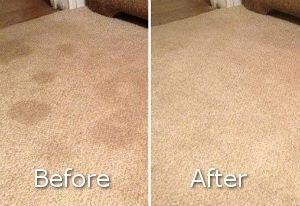 We clean stains, remove soiling and kill bacteria that lurk in your carpet. We are hard-working and professionally-screened. Give us the chance to tell you a little bit about ourselves in the following lines, and perhaps convince you that we are absolutely worth it! At our company we use professional approaches, which enable us to achieve the best results in every cleaning task we complete. If your carpeting is expensive, or handmade, or you just want to provide the best care, you don’t have to worry anymore, because we perfectly know how to do that! We can assure you our carpet cleaning system in Earls Court is of great quality and it’s worth your time! ﻿Here is what we will do to breathe new life into your carpets. We will assess the condition of your carpet by looking at the stains and grime. We will pre-treat dirty patches and stains using our cleaning solutions. 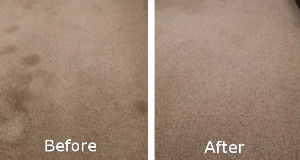 After that every inch of your carpet will be steam cleaned with our powerful and high-quality steam cleaning machines. With the use of very high temperature we can eliminate bacteria, loosen dirt and grime, and clean deep down the fibres where lots of particles, pollen, dust and soiling have settled. This step will also help rinse the cleaning solution. We can also extract the moisture of your carpet up to 95%! When we finish cleaning, we will dry your carpet. After that we will deodorise the area, so you won’t sense any unpleasant smells! You can find us also in Fulham, South Kensington and Vauxhall. You can book our carpet cleaning service in Earls Court for as much carpets as you want at any given moment when you have the time! Our services have affordable prices and the procedure itself is gentle to your carpeting! We are available seven days a week, waiting for your call! Our team at customer support will answer any questions you might have and is ready to book you an appointment anytime! Our carpet cleaning system works wonders on every type of carpet. 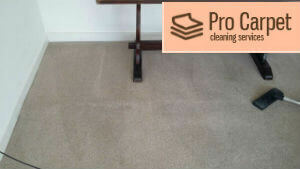 We are experienced, as we have cleaned countless carpets throughout the years. We know what you need and we know how to exceed your expectations! We are willing to give the best care for your carpets, only if you allow us! Your items will be in good hands with our professional service! Be sure to get in touch with us and schedule an appointment. We will give you a helping hand and you will be more than satisfied with the results like many of our customers! You may also become one of our regulars! Earls Court is our area of expertise, but you can also find us in Vauxhall, Battersea, Clapham and many other areas in London!